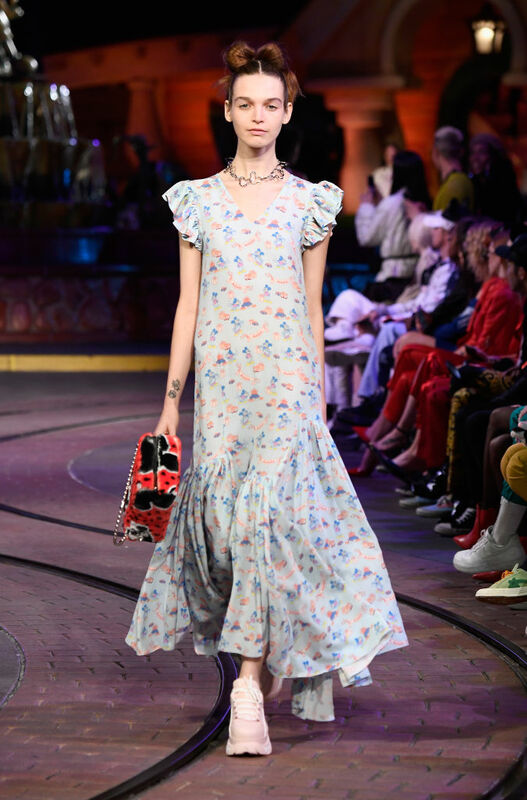 Disneyland closes its doors to the public at midnight, but if you’re in the cool-kid fashion set, you might have snagged an invite to the exclusive Opening Ceremony fashion show held at Disneyland on Wednesday, March 7th, 2018. Disney collabs with brands all the time, but it’s not every day you see models waltzing through Toontown. The whole show reminded us of the magical nighttime weddings sometimes held at Disney Parks. “To do a show at Disneyland has been something that we joked about, talked about, dreamed about; we said if we could ever do a show at Disneyland, that would be the ultimate ultimate,” Opening Ceremony’s co-founder Humberto Leon told Fashionista.com. 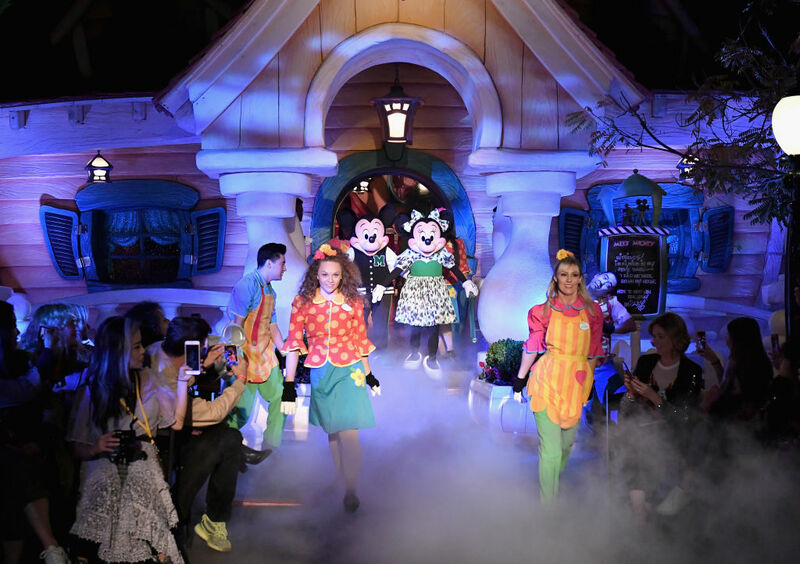 The catwalk started at Mickey’s house in Toontown as the models traipsed down a path usually taken by the trolley. Mikey and Minnie even walked in the collection — meaning, yes, the whole thing was very surreal and very cool. The collection was mostly vintage-inspired tees, jackets, and other cool kid-inspired streetwear. Some of the more interesting pieces in the collection were the gowns. 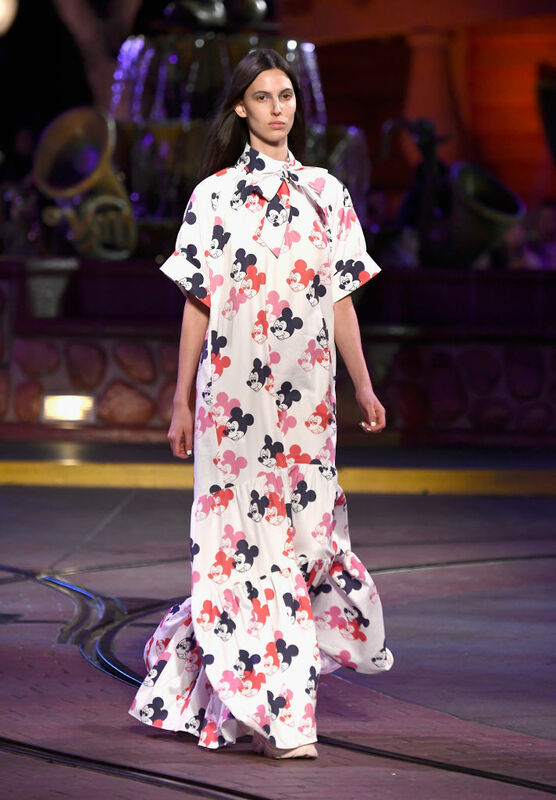 Yes, Mickey Mouse-inspired red carpet gowns. The show brought out dancers, a marching band, and a PG-13 version of the typical Disney parade. Needless to say, we are immensely jealous of everyone who got to attend. If you like what you see, you can shop the collaboration on ShopDisney.com or OpeningCeremony.com, or you can even buy the clothes inside the park. The digs are not cheap (these Mickey sweats are $145), but when it comes to Disney, the splurge is often worth it. However, according to Fashionista.com, if find yourself lusting after those bespoke gowns, they won’t be available to purchase until October 2018.